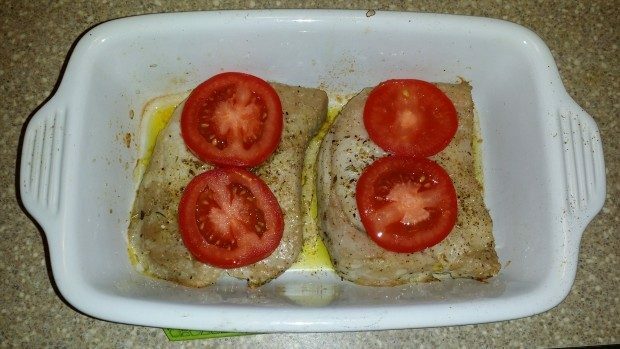 You are here: Home / Recipes / Dinner / Californian Pork Chops! 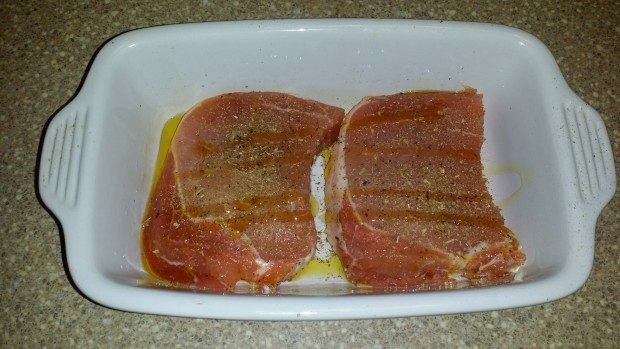 Now why are we calling them Californian Pork Chops? Avocado and tomato kinda remind you of California, right? Well the do us, so that’s why! 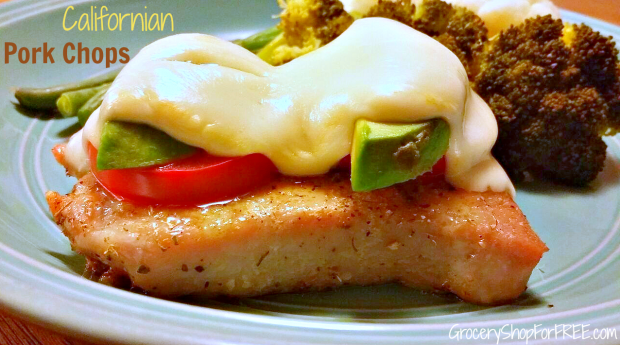 Hubby is the cook in our house and he made this recipe the other night and it was a hit! So, we decide to share it with you and see what y’all think! Preheat oven to 350 degrees. 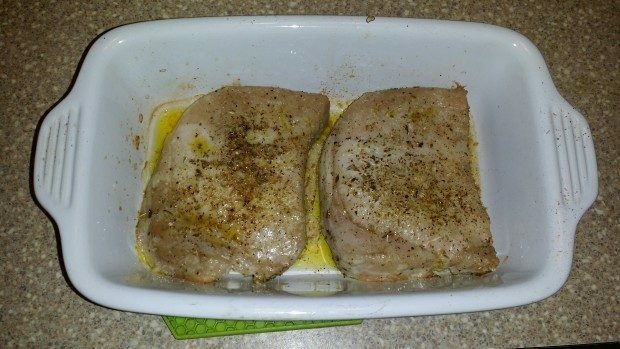 Place pork chops in shallow pan, put dry spices on both sides of the chops, then drizzle olive oil over the chops. 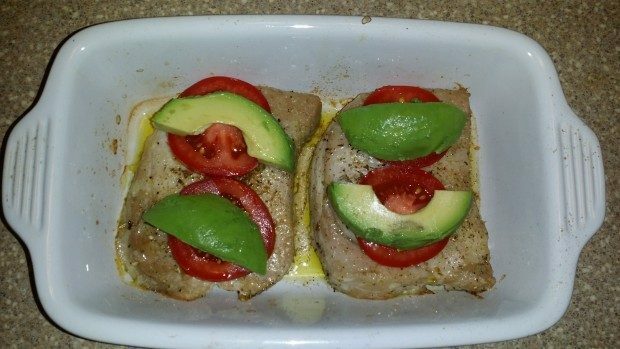 Place pan in oven, bake at 350 degrees for 25 minutes. 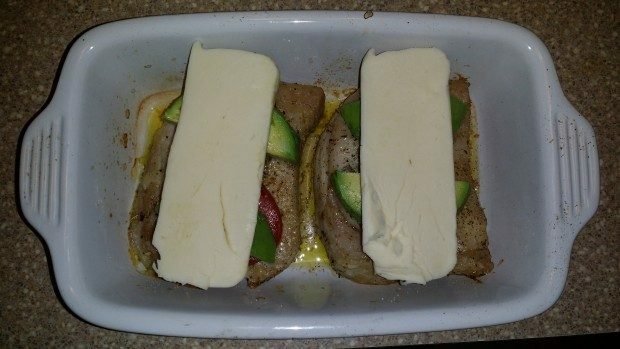 and mozzarella on top of the chops. 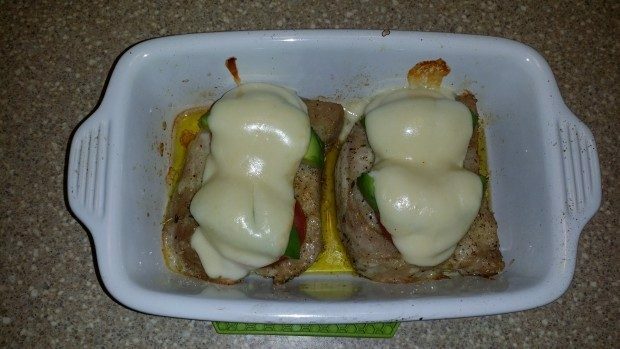 Place them back in oven for about 5 minutes until cheese melts. There you have it easy, healthy and really tasty! We paired these with steamed broccoli, cauliflower, and green beans and served them with a pat of fresh homemade butter on top!